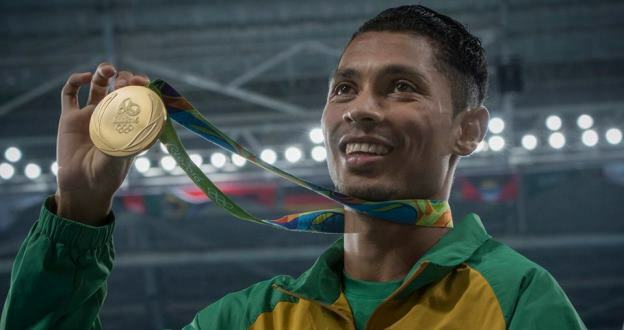 Wayde van Niekerkâ€™s 43.03 run of glory was an unprecedented moment of history â€“ and a major triumph for South Africans. Coloured South Africans in particular celebrated Van NiekerkÂ as a personal hero for representing and putting some respek on the coloured communityâ€™s name. The hashtag #ColouredExcellence was trending on Twitter after hisÂ win. But it was not long after that #ColouredExcellence was met with disapproval and shade by other South Africans. It got pretty messy on social media. But there are some things coloured folk recommend we keep in mind before throwing shade at #ColouredExcellence. Charles Ash, creatorÂ of the bruinou.comÂ website for coloured, mixed race and multiracial South Africans, noted that part of the importance of Van Niekerkâ€™s win for the coloured community is that it helps dismantle harmful narratives of what coloured people are seen as. â€œEverybody knows the classic stereotype of coloured dysfunction, itâ€™s a very prejudicial and demeaning stereotype. People are perceived to be criminals, criminally inclined, loose morals, prone to drug abuse, carefree and violent,â€ said Ash. In many coloured communities, athletics makes up a huge aspect of social culture. Sport has always historically been seen as an accessible means of social upliftment that keeps vulnerable youth out of trouble. Yet many young and promising coloured sportsmen still never make it professionally due to the pervasive influence of gangs, drug culture and structural disadvantage within these communities. This is why Wayde Van Niekerk is a powerful symbol for the coloured community. So any coloured sportsperson who ‘makes it’ at any level, unless they were securely in the middle-class, made it despite their environment. Aasia Fredericks, a social media manager from Cape Town echoed the importance of representation. “You can say #BlackLivesMatter but representation matters for all â€“ whether youâ€™re black or whether youâ€™re coloured. Itâ€™s important for people to see people that they can aspire to and relate to. That does more for them than, â€˜Wayde van Niekerkâ€™s victory for one is a victory for allâ€™ ,” said Fredericks. â€œI identify as socially coloured, because that is the way that Iâ€™ve been undeniably socialised, but politically black because I subscribe to Steve Bikoâ€™s Black Consciousness ideology. But my coloured identity is not mutually exclusive to my black identity â€“ I can bear both identities,â€ said Ash. The contention here is that some seem to think accepting â€œBiko Blacknessâ€ as a political identity means forgoing all other aspects of our social and cultural ties â€“ basically amounting to erasure of ethnic identity. Not only is this an incorrect understanding of Black Consciousness, itâ€™s also hypocritical. â€œNobody gives Zulu people, for example, a hard time for celebrating their Zulu identity or anything like that. With coloured people it seems we have to forgo our social identity and subscribe to the broader political identity,â€ said Ash. Alex Hendricks, a UCT graduate suggests that the route towards dealing with the legacies of pain that specifically affected coloured people, who still identify politically as black, is to reclaim and fully embrace the coloured identity. â€œThe only way we can deal with that pain is if we claim â€œcolourednessâ€ in that sense. I see that other black people see that as problematic, but that is how we deal with our pain, by recognising where we come from within our community. Itâ€™s very important for us to not be ashamed of being coloured,â€ said Hendricks. Wayde’s golden 43.03 gives a validity to coloured girls’ and boys’ dreams that wasn’t there before. Alex Hotz, Right2Know manager living in Cape Town pointed out that it was problematic to attempt to police how people choose identify and that the coloured identity in particular was especially complex to come to terms with. â€œItâ€™s a complex identity â€“ itâ€™s not homogenous. Being Biko Black is not homogenous. The idea of being coloured is not simple â€“ itâ€™s not just a 1652 (white person) and whatever mix â€“ itâ€™s more than that,â€ said Hotz. Fredericks echoed the discontent at having oneâ€™s identity dictated to them. â€œMy biggest issue I think is the sense of entitlement. That they can tell other people what to believe, who they are and who they arenâ€™t â€“ and thatâ€™s what I think pisses me off â€“ the hypocrisy of telling someone who they ought to be,â€ said Fredericks. â€œWho is the gatekeeper of colouredness or blackness? Who gets to say that you are not black or that you are not coloured? Who gets to say you are or arenâ€™t black enough?â€ continued Hotz. Hotz emphasised that public discourse revealed that there was still much unresolved pain relating to issues of shame, guilt and resentment â€“ especially among, and between, people of colour. She highlighted the need to speak through these issues as a means of healing. â€œI also felt a lot of discomfort yesterday, as if my identity, who I am, must be reduced or legitimised based on one personâ€™s success. When I think about how the women of my family have been succeeding so we can survive and so that I could have gone to a university â€“ which was never easy â€“ how can I not see that as excellence? Excellence cannot be simply defined as such only when itâ€™s recognised by white people,â€ said Hotz. But even between people of colour, there seems a necessity to have these conversations, says Khaliel Moses, a student from Johannesburg. â€œI constantly think about why coloured people wonâ€™t claim blackness. And yes, itâ€™s because of our anti-blackness and the fact that we aspire to whiteness and all of this. But at the same time, we donâ€™t feel at home within blackness, we donâ€™t see ourselves in blackness. Weâ€™re not allowed to see ourselves in blackness because our identity doesnâ€™t come through. How can we identify with something when weâ€™re not allowed to affirm our identities within that?â€ askedÂ Moses.